Watch: Boyfriend, Pinerahan Ng Kanyang Girlfriend Na Sekyu Pagtapos Nagpakasal Pa Sa Iba! Inaksyunan Ni idol Raffy! When you are in love, you can do anything to prove your feelings. You will start to believe that their satisfaction is your satisfaction, their need is your responsibility, and their wants are yours to fulfill. Supplying material things is one’s pleasure when presenting them as gifts to the one you adore. No wonder people in love tend to buy anything their loved one desires. Meet Rodel Lizardo, a security guard who fell head-over-heels to his fellow security guard, Melody Banyola. Due to the love bug, Rodel found himself in a heartbreaking situation that could be considered as the worst lover’s nightmare. In despair, Rodel asked for help from Raffy Tulfo’s show, “Raffy Tulfo in Action”. In this show, he finally narrated his story. According to Rodel, he first met Melody on the social media site, Facebook. 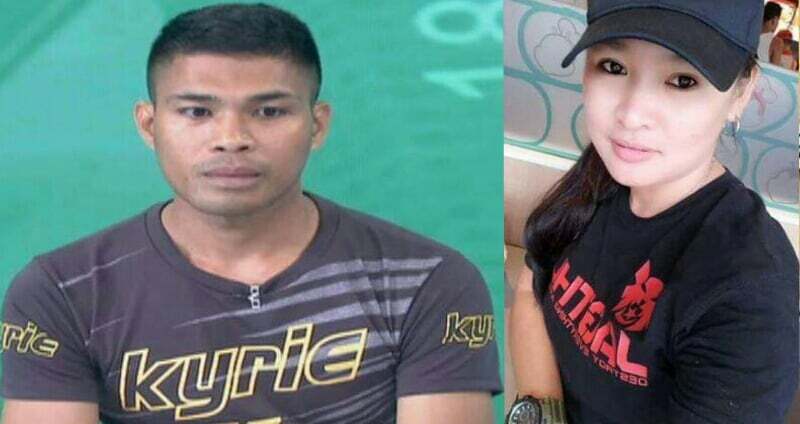 He courted this lady guard for only a span of one week which is considered ‘fast’ in Filipino courtship standards. They used to just date before but they, later on, decided to live together. One day, Melody told Rodel that she has decided to go back to Bacolod to undergo a police training. In order to financially support the love of his life, he pawned his ATM, borrowed money from his cousin, and pawned their land in Pangasinan. And despite his sacrifices, it was still not enough so he had to sell their house in Cavite. “Ay, kulang nanaman?! Susmaryosep,” Raffy remarked. She requested for more. She asked for a cell phone, laptop, two motorcycles (one for service and one for drag racing). She even told him that she will buy a house in their province… for their future, of course. Rodel gave everything she asked for because he loves Melody. So, imagine his shock when he discovered that his dear sweetheart already got married to her ex-boyfriend. Apparently, the money that he gave her was the money they used for their wedding. The guy is also a security guard and he and Melody actually have a child. Melody and the guy got separated before Rodel met her. Apparently, she came back to them and married the guy in the end. After a few days, Rodel came back to the show and met Melody and her husband. Melody clarified that she did not ask for the things Rodel gave him. She just stated her needs and Rodel; was the one who was so willingly supplied them to her. “Siya lahat nagkusang loob,” she said. She insisted that she wasn’t able to tell Rodel of her marriage because she knew he loves her so much. “Di ko nasabi sa kanya dahil kita kong mahal na mahal niya ako. Parang obsessed na siya,” she said. Raffy talked to them and stated that they should return all the items Rodel gave to her. And she also must pay back all the money he sent. They have agreed to this and the show concluded with the clips of the team assisting Rodel in picking up the said stuff.